Looking for ideas on things to do in Busselton, WA? Busselton, Western Australia is the gateway to the Margaret River region, a luscious area where wine, craft beer, gourmet food, beaches and surfing is part of daily life. Besides being a major “Down South” town, the Busselton jetty is a famous landmark that extends 1,841 metres out to sea. The timber piled pier is the longest one in the Southern Hemisphere and the second longest jetty in the world. The iconic wharf draws a crowd all year round and it’s going to top the list but there are heaps of other reasons to choose Busselton for your next holiday. How many jettys have a passenger train on them? 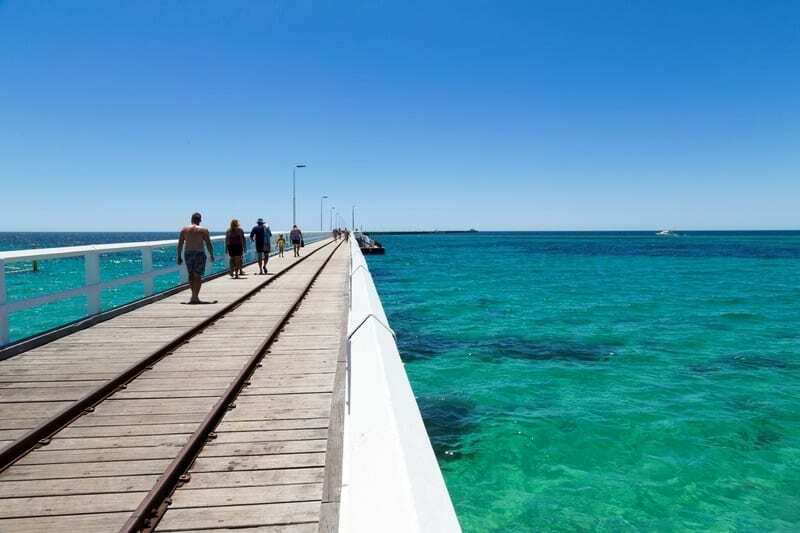 One of the cool things to do in Busselton, WA is hop aboard the old-fashioned steam-engine replica for an easy-breezy trip to the (almost) end of the long jetty. You’ll disembark the train at the Underwater Observatory where you can view what’s under the sea without getting wet. Remember to walk the short distance to the very end and take a picture of yourself “out to sea” on your Busselton vacay. What better way to get good visuals of the entire jetty than from 14,000 feet above it. 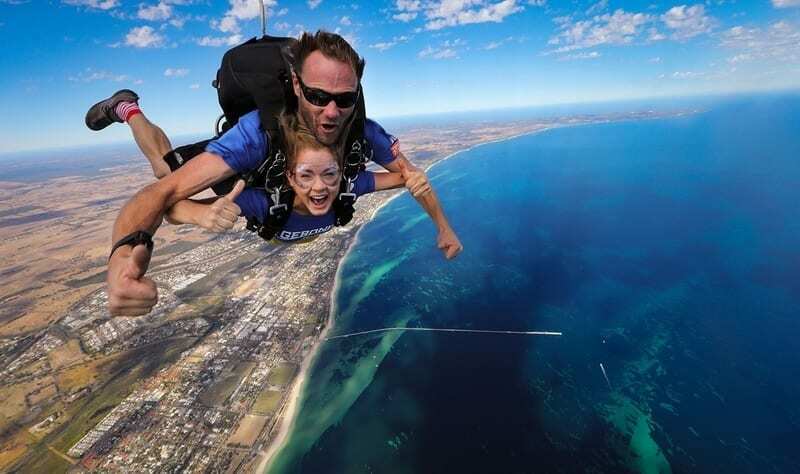 Skydive Geronimo is the only skydiving company offering tandem jumps over the Busselton Jetty and believe me, it’s a holiday activity you’re not going to forget in a hurry. Besides getting a spectacular view of the jetty sitting in Geographe Bay, you’ll also get a natural rush of adrenaline and a shot of bravado as you free-fall toward earth. During the summer months, the Busselton foreshore goes off (in a good way). It’s a hive of activity for families and beach bums. The beach itself is enough of a drawcard, but from mid-December until school goes back, Aquatastic, an inflatable water park is set up daily to offer hours of laughing fits and giggles. There’s also SUP boards, see-through kayaks and pedal boats for hire. There are currently two restaurants, a giant skatepark, youth centre, life-saving club and of course, the Busselton Jetty all within a short distance of each other to keep everyone entertained. 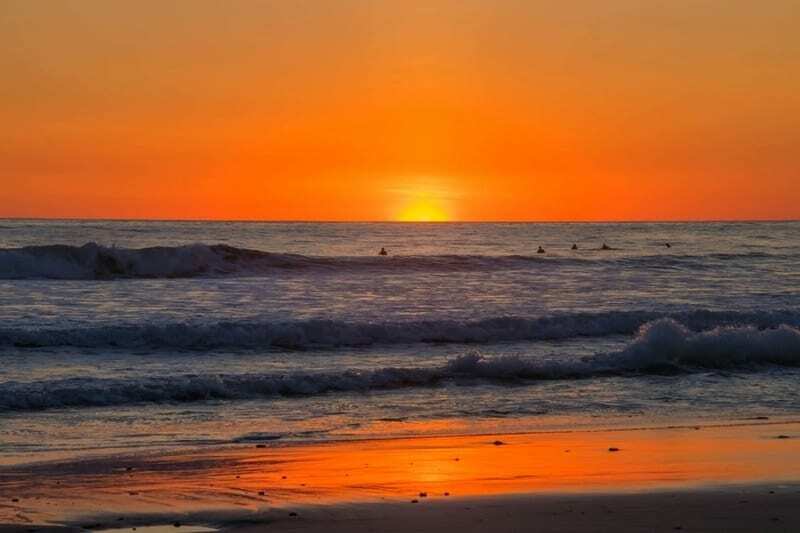 Western Australia is blessed with incredible, ga-ga-worthy sunsets and Busselton attracts many photographers trying to capture an Instagrammable one. After a day of fun in the sun is there anything better than a cold beer or a glass of Margaret River wine while overlooking a glowing horizon? The South West’s Mediterranean-like climate has four seasons, each with its own offerings. Busselton weather can be hit and miss from May to August but if you love donning a woolly jumper and snuggling down in front of a warm fireplace with a red wine, winter is for you. Expect brisk mornings and evenings and warm days, when it’s not raining. Spring is for wild flowers and whale watching with mild temperatures. 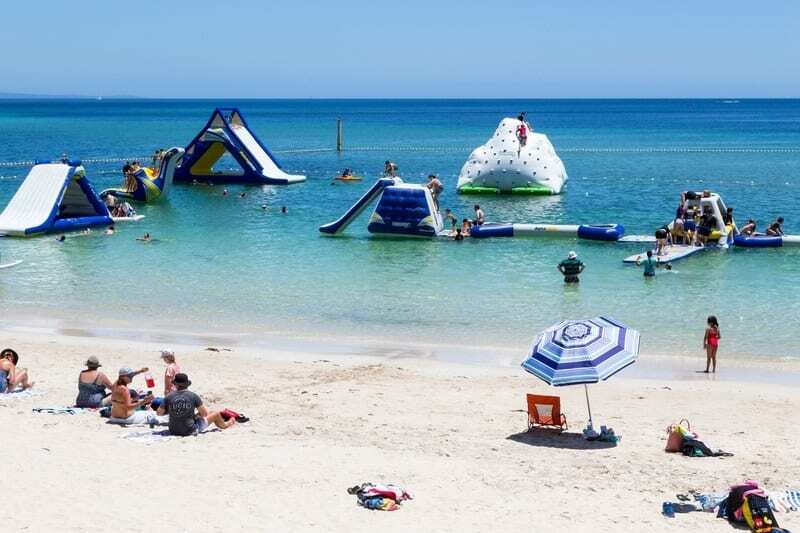 If temperatures of 25-32 degrees Celsius is your idea of holiday heaven, visit Busselton from December to March when you’ll be spoiled with bright, sunlit days and cooler evenings. 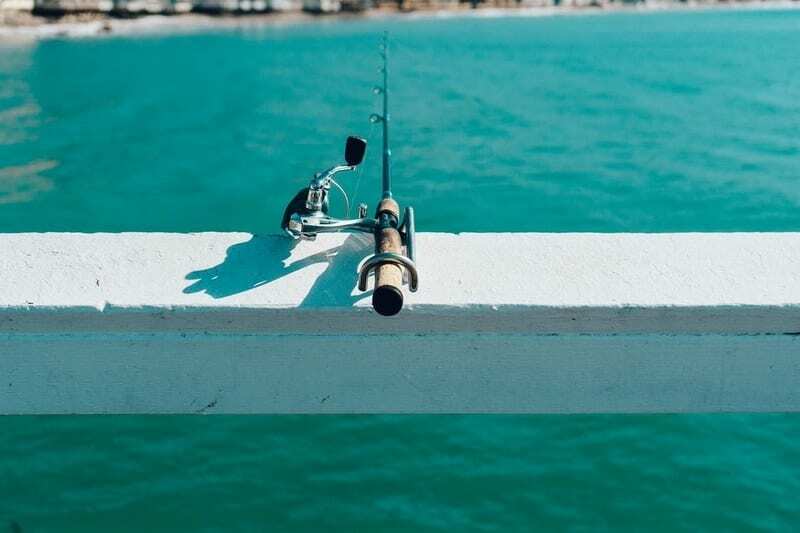 Fishing in Busselton is a favourite pastime of the locals and you’re guaranteed to see fishermen casting their lines over the jetty at any given time of day. You don’t have to be a sea dog to enjoy the meditative practice of tossing a fishing hook in the water and reeling it in over and over. There are several tackle shops in Busselton and the jetty’s Interpretative Centre also sells gear and bait. Busselton is the event capital of WA, which means its event calendar is pretty full and full-on. Each February is the Sunsmart Busselton Jetty Swim, an event that packs the foreshore full of real keen-bean solo swimmers and teams. The challenge is to complete a 3.6-kilometre ocean swim around the 1,841-metre-long jetty. Hundreds compete each year and there’s even a kids’ 222-metre swim around the square swimming jetty. The beauty of a Busselton holiday is the many choices of things to do, places to see, wine and craft beer to drink and the overflowing amount of fresh, gourmet food to eat in the entire Margaret River region. As the gateway to this wine-famous countryside, Busselton is a top choice for your holiday hub. Booking.com has over 80 properties in Busselton. You get free cancellation on most rooms and a best price guarantee.